Your heating and cooling equipment is essential for maintaining year-round comfort. At Meyer Oil Co. in Cleona, Pennsylvania, we offer heating equipment maintenance and air conditioning repairs to keep your units working longer and more efficiently. The best way to keep your equipment running at peak efficiency is preventative heating equipment maintenance. For your peace of mind, we offer Heating Service Agreements. 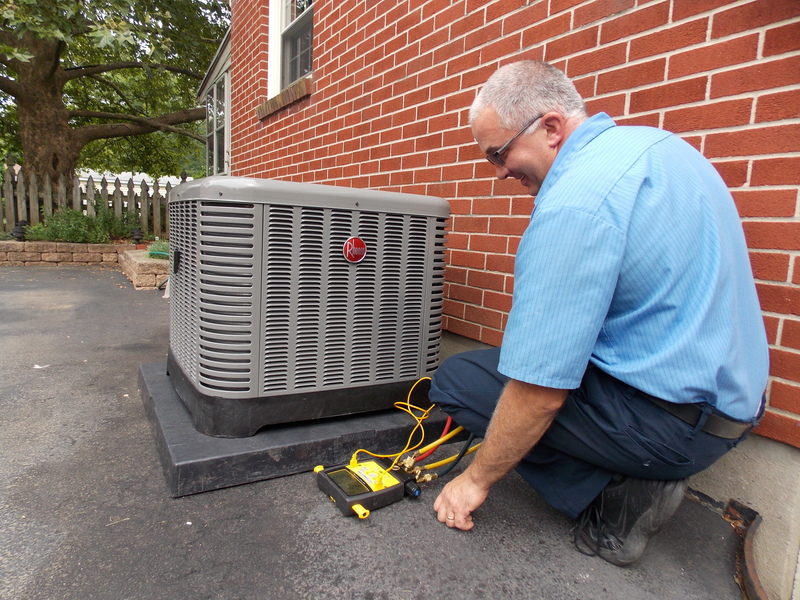 As part of the Heating Service Agreement, our technicians will inspect and tune up your heating system for you. The agreement is designed to cover annual preventative heating equipment maintenance, as well as emergency services that you may need throughout the year. Your oil-fired water heater provides all the hot water you need at an affordable cost. Ask about our water heater service agreement option, which includes annual preventative maintenance at the time of your heating system check-up, plus emergency service 24 hours a day, 365 days a year. We also offer a $1,000.00 tank protection program credit toward fuel oil tank replacement in the event of tank failure for qualifying oil tanks. Please call us for further information. Trust our EPA-certified technicians for air conditioning repairs and installations. For your added convenience, we offer free estimates to replace your existing unit or add air conditioning to your home. Our services don't stop with just air conditioners and heating systems. We also install gas log fireplaces and mantels. At 99.9% efficient, the vent-free slope glaze burner delivers more heat for your energy dollar and produces a natural flickering flame you can operate with a remote control.